rulez added on the 2013-03-31 14:05:43 by w00t! Very nice. Keep them coming! big thumbs up for the loader and very nice first c64 demo. Not as polished and tidy as some of his custom hw stuff, but quite impressive in its own right. Graphics and music could be much improved upon though. Nice one, and great music as usual. 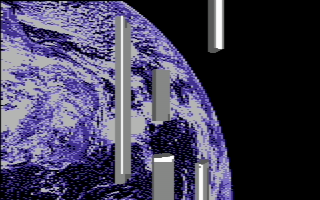 My fave C64 demo from this party -- proper mix of effects and aesthetics. There is some technical achievement in this about the loader I don't understand, but even as a demo alone it was quite nice. this one is really cool already! rulez added on the 2013-04-18 18:44:09 by ɧ4ɾɗվ. the thing i love about this is how un-C64 this is. Love the twister in the end, with the corrupting graphics. Also, what gargaj said. love it when i saw it, love it still. should have probably placed better. page created in 0.017925 seconds with 15 queries.